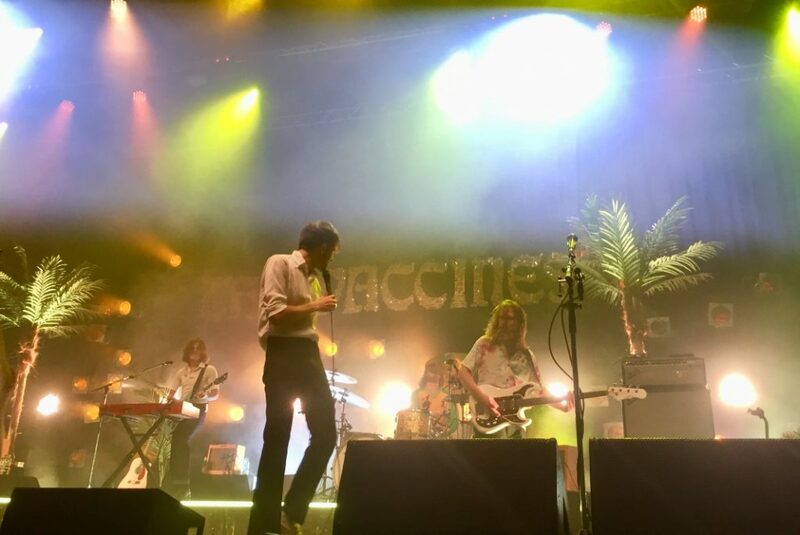 The Vaccines have definitely made a statement during their recent return. Their latest album Combat Sports, released in March last year, reached number four in the UK chart and made quite a noise amongst the indie music scene. Having lost a founding member and taken on two new members, they are fresh and almost re-born, without having lost the charm which we fell in love with. 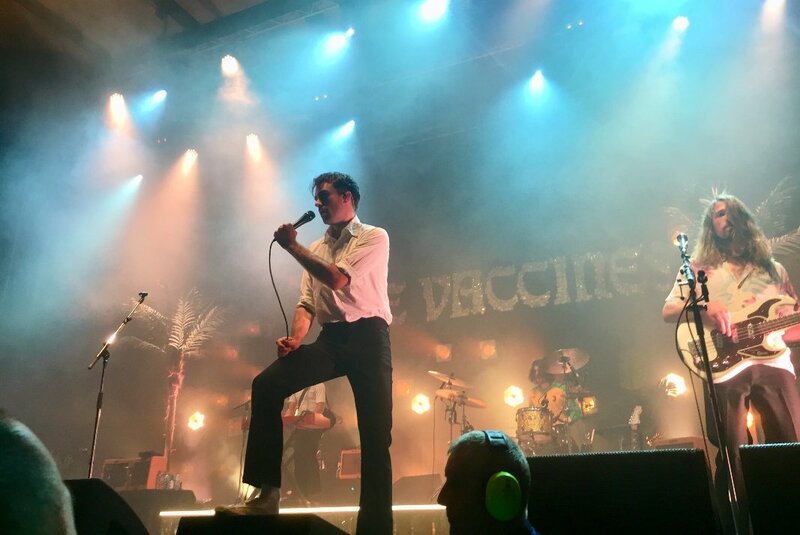 As stop number two of their current UK tour, they graced the stage at The Brighton Dome on Fri 25 Jan, performing songs from their latest album. Combat Sports is more of a homage to the band’s earlier albums, What did you Expect from the Vaccines and Come of Age. Filled full of their classic guitar heavy sounds, with carefully written, sing-able lyrics, the live performance promised to entertain. 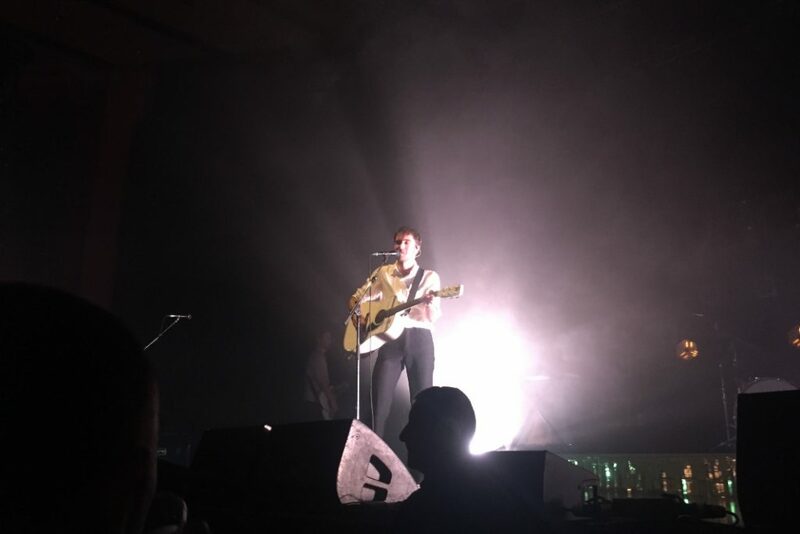 After queueing outside the venue in the January cold to make sure we were in the closest proximity possible to the stage, we made it to the front with just one other person between us and the barrier. With the perfect view, we watched the very cool Jesse Jo Stark and dreamy Hatchie, who warmed up the crowd. As the classic Queen anthem I Want to Break Free was blared out from the stage, the crowd roared the lyrics and the boys marched out. Amidst the palm trees, glittery back drop and gold streamers that lined the staging, they opened with Your Love Is My Favourite Band. I sung the entirety at the top of my lungs, while absorbing the electric atmosphere of the crowd. 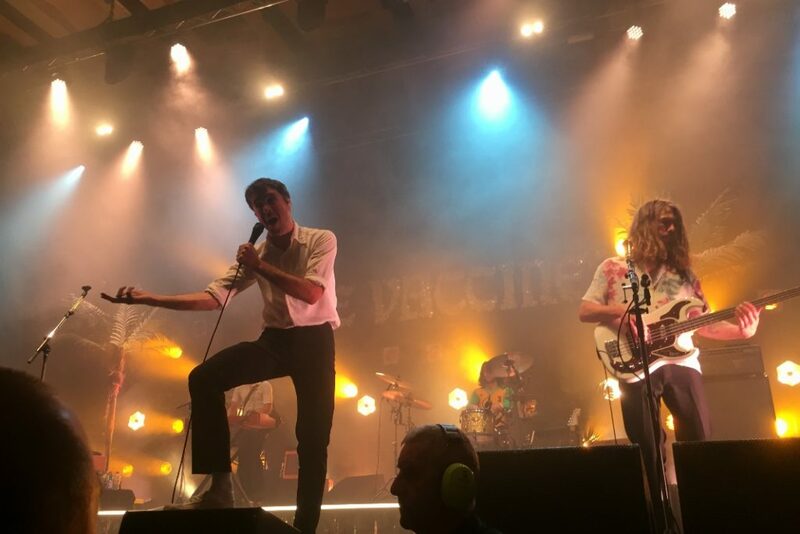 Lead singer Justin Young expressed his love for the city of Brighton and the south east of England by telling an anecdote about the results of an ancestor DNA test. He revealed to the crowd, “I’m 70% from the south east.” “You know what that means Brighton, we are family. And you know what families do? They sing together.” They then broke dramatically into the next track. As always, Justin was a great showman, engaging with individuals in the crowd and clearly enjoying beginning to end. As they began to play their festival favourite, Wetsuit, the crowd led the vocals while the frontman just listened and absorbed the moment. Lead guitarist Freddie Cowan was at his best playing their intricate guitar sequences just as he was born to do. They clearly loved every minute of performing together on stage. We bumped into bass player Arni Arnason and drummer Yoann Intonti in a pub after the show. We told the band members how much we enjoyed it. To which the guitarist responded, “Thanks. Yeah, It was good fun”. The band continues on their UK tour, with their last show at London’s Roundhouse on the 9 Feb.